The issue of electricity prices is the core issue of the entire power industry. At present, there are still many problems and contradictions in China's electricity pricing mechanism. As the national conditions of the countries in the world are very different and the original intentions and ideas of the reforms are different, the power reforms in various countries have been differentiated and diversified. For any country, the impact of electricity price reform is comprehensive and far-reaching. This involves the adjustment of various interest relations. Only under the protection of relevant laws and regulations can the reform be carried out smoothly. Therefore, countries generally adopt legislation first, law as the basis, reform according to law, and protect with law. If Japan promulgates or amends the "Prohibition of Monopoly Law" and "The Law of the Electric Power Industry," the United States promulgated the "Energy Policy Law," and the United Kingdom introduced the Electric Power Act, all of which have played an important role in safeguarding and constraining its power reform. From the perspective of reform, the United Kingdom is mainly to reduce the price of electricity, while Japan is to achieve high welfare and energy conservation. From the perspective of the construction of the electricity market, the EU countries mainly use bilateral transactions, supplemented by centralized transactions, and early in Australia and the United Kingdom. Implementing the power bank model, the United States PJM, etc. is the coexistence of centralized trading, power market and capacity market; from the perspective of the reform of the power industry structure, Japan, Brazil, France, the United States (partly) will be all aspects of transmission, transmission, distribution and sale of electricity. Placed in a company; the U.S. electricity market is dominated by privately-owned mixed entities, and the electricity sales and power generation links are fully competitive. The transmission links are still natural monopolies and are operated by three companies. The UK regards transmission as a natural monopoly. Power generation and distribution are free competition; while Russia, Argentina, etc., take completely separate parts. The electricity price mechanism and the electricity price system design in major countries are generally more scientific and reasonable. The electricity price in the United States better reflects the cost of electricity generation and the relationship between supply and demand. For example, in the summer/winter season, high/low prices are imposed according to the large/small electricity demand; the high transmission cost of the residents' electricity prices leads to high electricity prices and industrial electricity consumption. Large and batch delivery, so the price is low. The majority of nuclear power in France, according to the user's different voltage and capacity, the power price is divided into three categories of green, yellow and blue, are set basic electricity prices and user-selected electricity prices. Japan's fuel is mainly imported, so the electricity price design is mainly focused on energy conservation. The UK electricity price market determines the real-time electricity price for each time period of the next day according to the load forecast and the price quoted by the power plant according to the principle of minimum electricity cost. Residents use electricity to implement a special electricity price system. Countries generally implement a special electricity price system for residents' electricity prices, especially the key protection system and the ladder electricity price system, and provide low-cost or free minimum guaranteed electricity or provide electricity subsidies for low-income people. Some also set different prices for different periods of time to encourage residents to use electricity at the wrong peaks. The price of ladder electricity is generally divided into three to six stalls. The electricity and price of each stall are not the same in all countries. The general trend is that the more electricity is used, the higher the price of electricity. For example, the price of electricity for residents in Korea is a span of 100 kWh, divided into six levels and six kinds of electricity prices (from 55 won to 644 won). We will vigorously promote renewable energy power generation. Renewable energy generation has developed rapidly in various countries in recent years. Relevant information shows that in 2011, the world invested a total of more than 250 billion U.S. dollars for renewable energy. Countries generally implement special electricity price incentives for renewable energy power generation. One is that service compensation and expenses are included in the price of electricity. For example, Alberta, Canada stipulates: If the wind power forecasting is carried out by the power running agency, the required cost will be included in the sales price. The second is to establish a policy of on-grid tariffs with high quality, low prices, and poor quality. For example, the Spanish â€œElectricity Lawâ€ stipulates that if the prediction error rate of wind power output exceeds 20% and still wants to go online, a fine must be paid to the power bank. The third is to determine on-grid electricity and electricity price subsidies through market competition. For example, Danish wind power grid-connected cost-sharing is adopted, and in the 2025 energy vision policy, it is stipulated that for each investment of 100 million Danish krone for new transmission lines, the price of electricity is increased by approximately 0.03 euro/kWh. The regulation and regulation of electricity tariffs is an important content and main method for the government to manage electricity. Because of the different models of electricity industry reform and electricity market operation, countries are also different in the regulation of electricity tariffs. The United States establishes the Federal Energy Regulatory Commission (FERC) and adopts regulations, market access, price control, and other methods of supervision. Electricity regulation in the United Kingdom is conducted by the Third-Party Gas and Electricity Market Supervision Office (Ofgem). France established a power company management committee and a price committee to indirectly formulate and manage electricity prices. The Japanese government adopts a centralized and multi-sectoral joint management and is mainly responsible for the Ministry of Economy, Trade and Industry. Looking at the various countriesâ€™ power reforms and electricity price mechanisms, countries in the overall direction of power tariff reforms are market-oriented according to neo-liberal economic theory, exerting the marketâ€™s basic role in the allocation of various power components as much as possible, and gradually forming a competitive landscape to provide society with Quality and cheap electricity products. In addition, the countries with more successful reforms are government-led, and have generally been fully brewed and prepared before the reforms. They are often promoted by an authoritative body, and relevant legal frameworks and rules are formulated in advance. This will not only establish the authority of the reform, but also avoid the manipulation and siege by certain interest groups and make the reforms go awry. For power reform and the design of electricity price mechanism, countries generally adopt a prudent attitude of balance and take into account the overall interests of society. This is reflected not only in the universal emphasis on the sustainable development and stable supply of electricity, but also in the economic basis of electricity price pricing. For example, countries generally value the greatest possible realization of social welfare (the so-called Ramsey pricing strategy); Residents' electricity prices have certain specialities and differences. It is worth mentioning that in the past decade or so, the United States and Canada, Brazil, and Russia have all experienced large-scale power outages due to delays in power grid construction or poor operation and management. In particular, Japanâ€™s nuclear tsunami caused by the tsunami in March 2010 caused nuclear leakage and power outages to have a far-reaching impact. Indiaâ€™s two major blackouts at the end of July 2012 have affected more than 600 million people. This reminds us that while carrying out power reform, we must vigorously build a strong power grid, and we must vigorously improve the level of safety management. The development of renewable energy is closely related to its power generation pricing mechanism. At present, wind power, solar power, nuclear power, biomass and other renewable energy power generation, due to the generally immature technology, and these energy are generally characterized by intermittent, anti-regulatory and other characteristics, the cost of power generation is high, and special pricing pricing mechanisms must be implemented. Such as: Germany's first photovoltaic power generation on-grid price subsidy policy, so that its photovoltaic market has been rapid development. Whether it is from the sustainable and stable supply of energy resources and electricity in China, or from the perspective of the transformation of ecological environment protection and development methods, the development of renewable energy and new energy to meet the great demand for energy in China's industrialization and modernization process, It is of great significance. All major countries have attached importance to the formation, pricing, and protection mechanisms of electricity prices, and fixed them in legal form. Chinaâ€™s electricity price law must fully consider the process of Chinaâ€™s electricity system and electricity price reform, and pay attention to the revision and improvement of the existing electricity price legal system and electricity price policy. We must establish the â€œPower Lawâ€ as a leader and consist of different levels of laws, regulations, and regulations. The complete electricity price laws and regulations system not only guarantees the power supply, promotes energy development, but also guarantees the reasonable profits of power generation and grid companies, and the legitimate rights and interests of users. We focus on the following eco-friendly and FDA, LFGB, DRCCRF and NSF certified bakeware & baking tools. 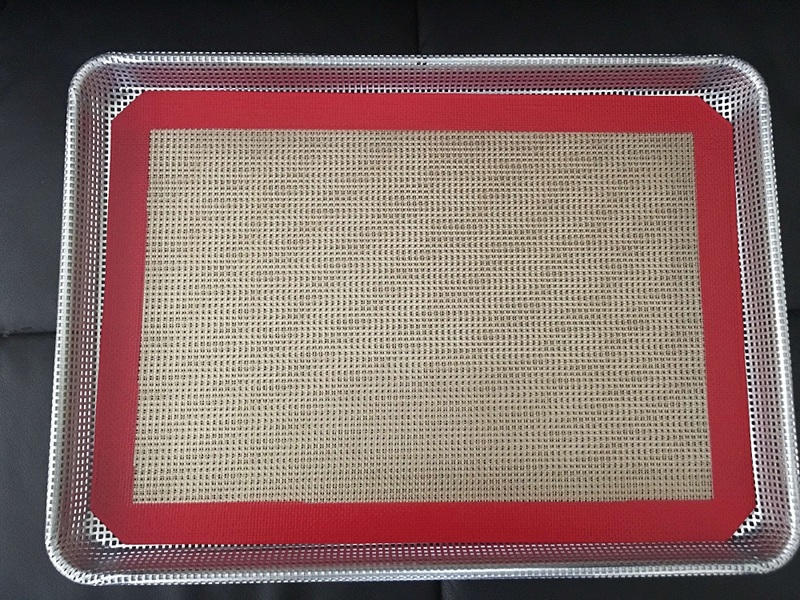 We have 4 national patents for utility models for Silicone Baking Mat and pastry mat. All the manufacturing machines were designed by ourselves and to ensure us to maintain NO. 1 in this field. Contact us for details today.